For many years, I fancied myself a passable cross-country ski racer. Despite an inauspicious start, finishing dead last as the anchor leg of the 1981 Hanover Relays, a race in which the anchor leg of the winning team went by the name of “Bill Koch” (yup – THAT Bill Koch, and I was attired in a fuzzy blue sweater, blue jeans, and bamboo poles), I gradually improved over the years until the demands of parenthood and other interests diminished my ski training time to the point where racing was pretty futile. At my peak in the late 80′s, I, and a handful of my friends made it our goal to ski 1000 km in a season, and with the mileage from three ski marathons in a month on top of a shorter race almost every weekend, several of us managed to reach our goal. One of the symptoms of this particular version of OCD was an obsession with ski waxes. 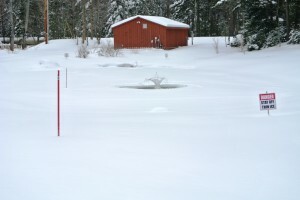 I would wax at least one pair of skis every night (and yes, I had several pairs, almost always the latest and best) based on the next day’s weather prediction. 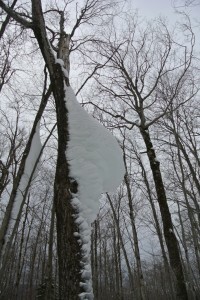 The bane of the ski-waxer’s existence was the particularly goopy wax for warm or icy weather known as “klister“. While the stuff really does work, putting it on one’s skis is a real pain, and part of the reason why for many years now I have almost always broken out my skating skis, which do not require kick wax, on warm springlike days. So, on an unseasonably warm and sunny Sunday morning, I found myself with my classic skis at the Rikert Ski Touring Center, and of course, my plastic bags full of every wax under the sun. 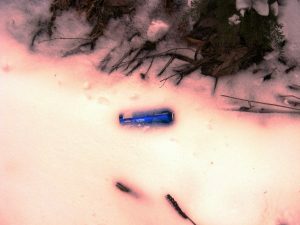 Realizing, to my dismay, that it would indeed be a “klister day” I dug into my bag and pulled out a tube of silver klister wax which was probably older than most of the skiers out on that particular day. The best way to apply this sticky gooey mess is to squeeze a thick line from the toothpaste tube it comes in onto the kick zone of my skis, and then spread the wax by running my thumbs across the base. Then the fun really starts – as all this wax on one’s thumbs can’t be washed off ( I had forgotten how insoluble it is in water! ), so I ended up shmearing streaks of silver goop on the sinks of the Rikert men’s room. Of course, it would not do to leave this for their staff to clean up, so I eventually settled on wiping it up with a generous stack of paper towels. 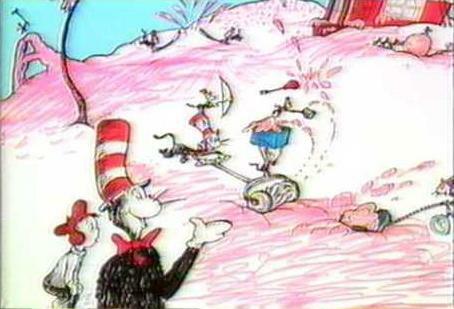 The scene was actually reminiscent of the challenges of cleaning up the “pink goo” from the Dr Seuss book “The Cat in the Hat Comes Back“. 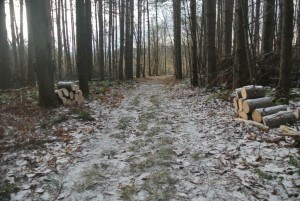 Skis all prepared, I set off up the hill, not really dead set on where exactly I was going. Taking the freshly groomed tracks on Holland to Frost, I came to the end of the Brown Gate trail, and realized that the section connecting this point and the trail to Blue Bed House was one I had never been on before. This two or three year old section of trail seems to be replacing the old connector from Holland, which seemed to be badly flooded in recent years due to beaver activity. 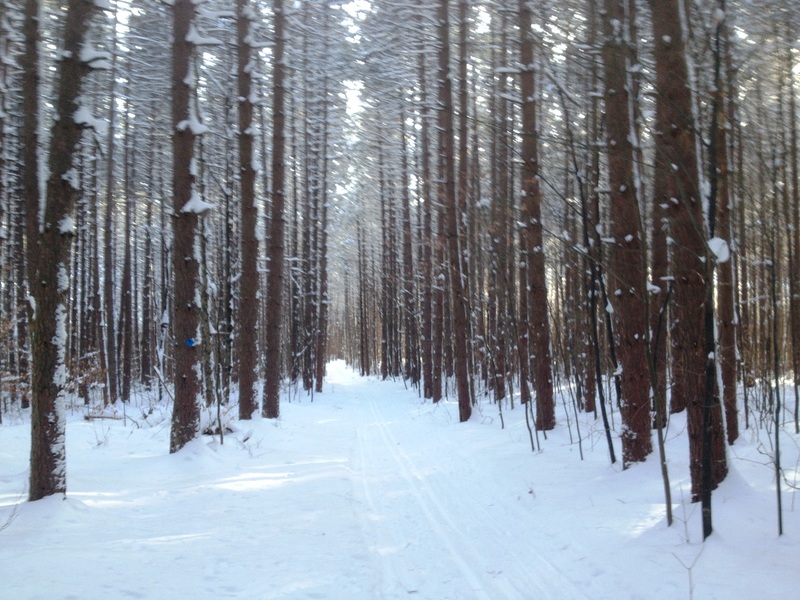 This narrow trail, which wove through the hardwood forest was made more challenging by the darn klister – the conditions were an odd mix of powder, ice, and frozen granular snow, so I found myself intermittently flying, and lurching to a near halt when my skis chose to grab. 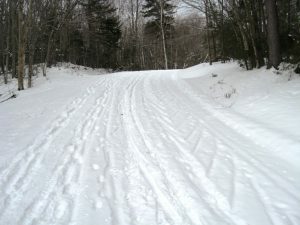 Nonetheless, I plowed on, connecting to the Blue Bed house trail, and bearing downhill, to Wagon Wheel Rd. The last time I had passed this way, the Wagon Wheel Rd. 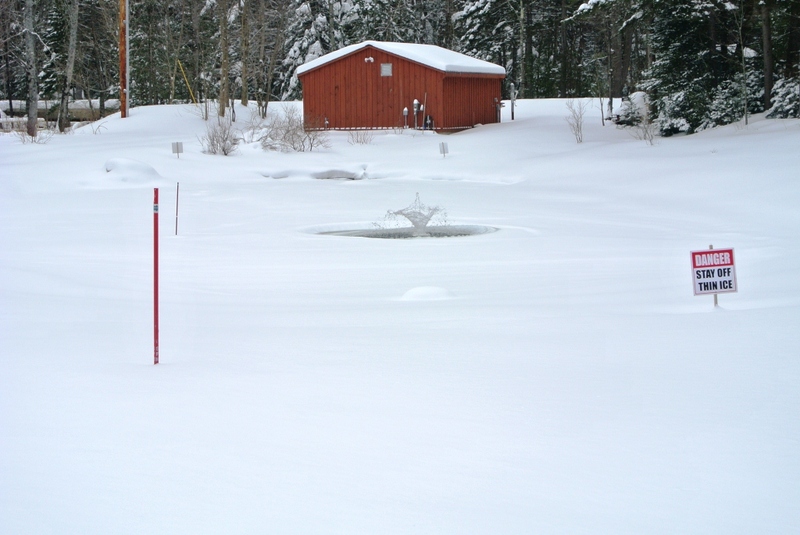 had been plowed, making for less satisfying skiing, but to my pleasant surprise, no plows had been this way since the last generous snow storm. So, I took a right turn at the blue gate, planning on following the old Middle Branch trail, which I knew would eventually loop back to the touring center. A few hundred yards later, I came to a surprise which forced me to re-evaluate this plan. While the Middle Branch trail, to the right, looked neatly tracked, I noticed a new, less manicured section, labelled as a segment of the Catamount Trail, bearing left. To the right – the comfortable trail I knew well. 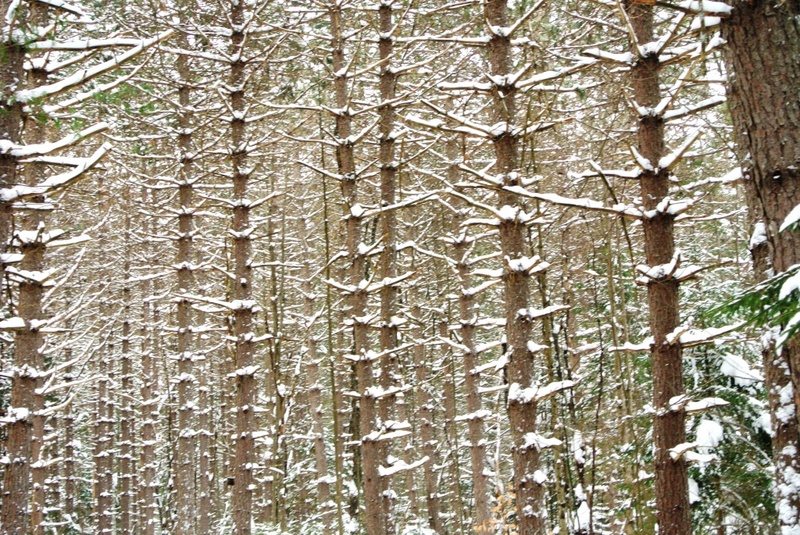 To the left, a trail whose known destination was…..Canada. Once again, I chose the road less travelled, and that made all the difference. This segment of trail was totally new to me, and from the geography, I knew it would eventually lead me to Steam Mill Road (aka FS 59) but I had no idea how long or far away this would be. So, I just glided through the woods, gradually climbing,the klister working well in the rapidly softening snow, and enjoying being the only person for a few miles. And at this point, it hit me – I was reconnecting with a sport that has been shortchanged for quite a few years. After all those years of skiing an enormous amount in my younger adulthood, finding time to keep up with the sport has proven elusive more recently. I found myself suddenly reminiscing and reconnecting with a sport which at one point in my life was my favorite sports activity. 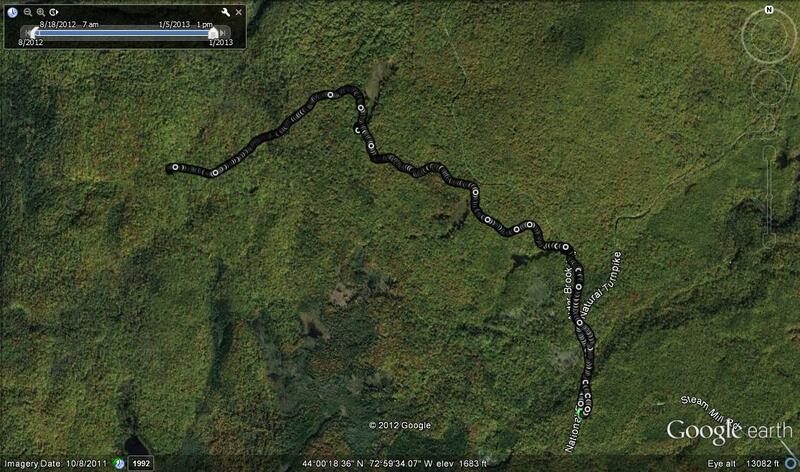 This introspection aside, this is a very pretty section of trail, mostly through hardwood forest. 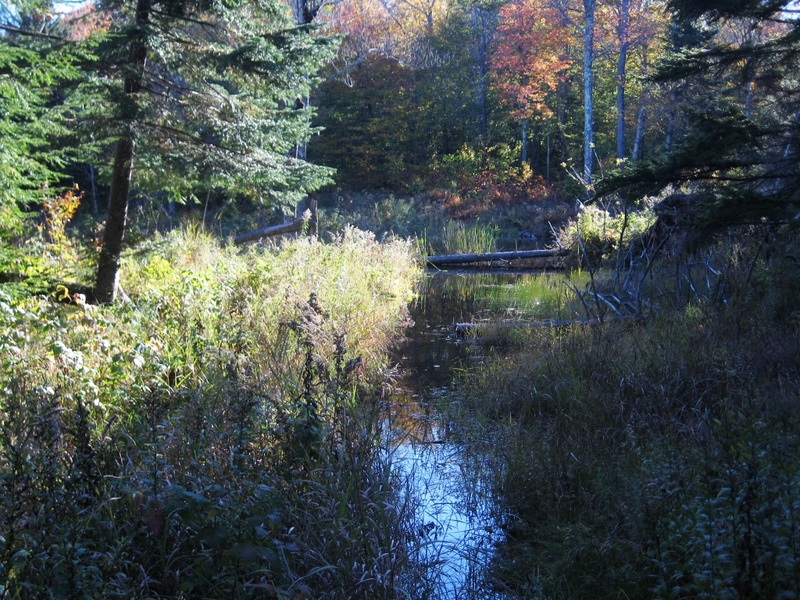 The trail is at its most scenic in one segment where it hugs the rim of a rather dramatic broad gorge, with the Middle Branch flowing a few hundred feet below. 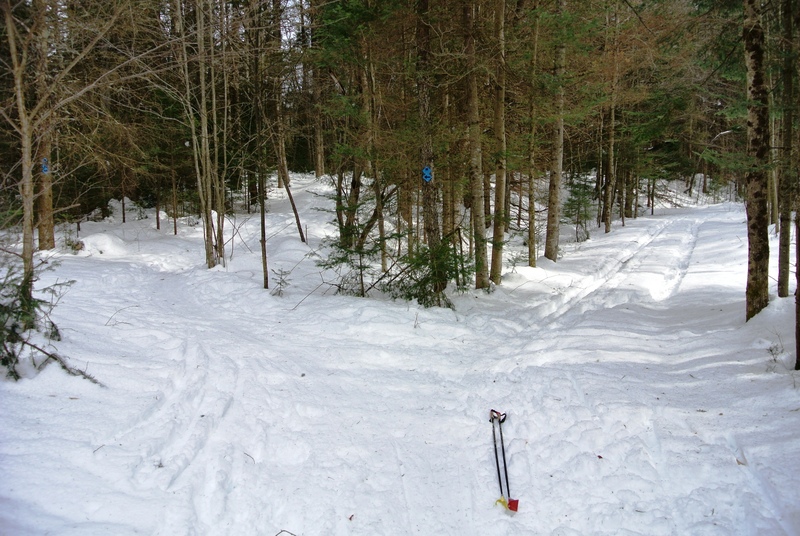 After a while, however, I began to wonder what I had gotten myself into, as I was somewhat directionally disoriented (albeit not “lost” – the trail was well marked) until I came upon a group of skiers coming down the trail from the opposite direction. One of this party was a friend I had not crossed paths with in a few years, Andy, and as we stopped and conversed, I learned that he was responsible for the layout of the trail we were on! Pressing him for information on his other trailblazing activities, he offered to share some of his favorites in exchange for some help with trail maintenance. Sounds like a good deal to me! 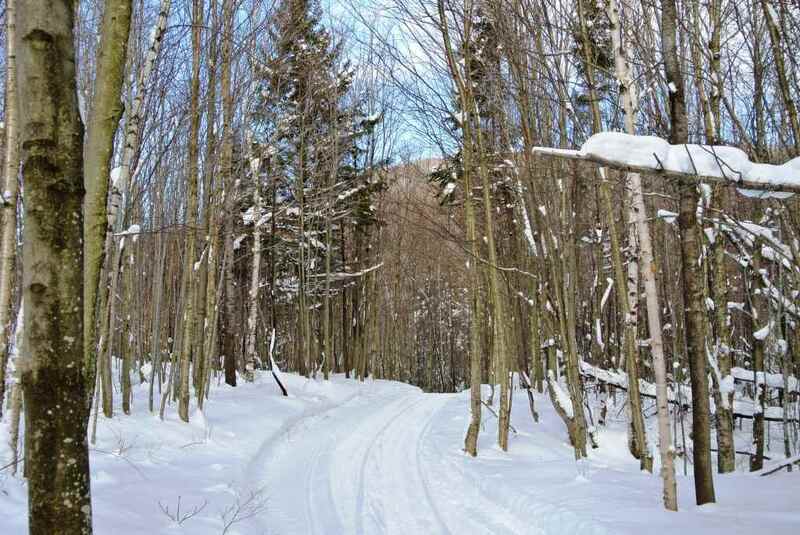 I also learned that I was a short distance from Steam Mill Road, which is closed to vehicular traffic in the winter, and maintained for snowmobile use. I joined this road at the broad clearing which in the summer is near to the popular trailhead to Breadloaf Mountain. I found it curious that there was a large sign, standing in the middle of this field proclaiming “WILDLIFE CLEARING”. 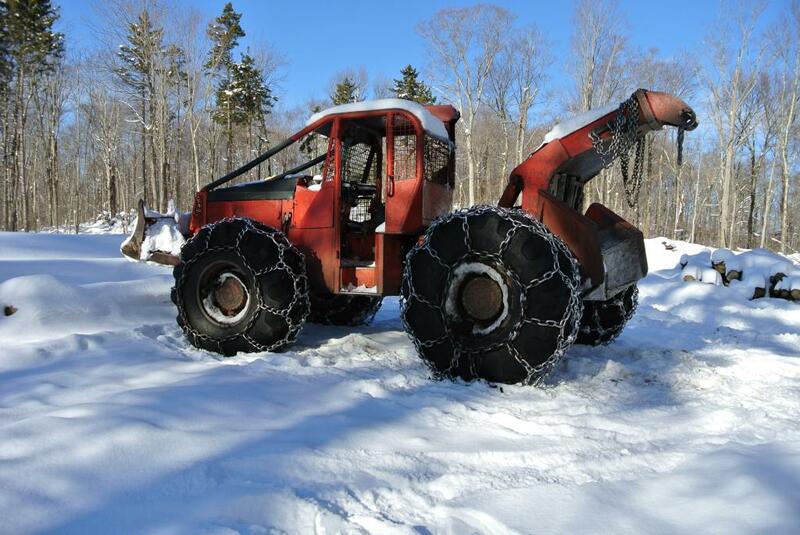 Since the only tracks I saw in the snow were of human origin, I guess the sign was right – the wildife was cleared! 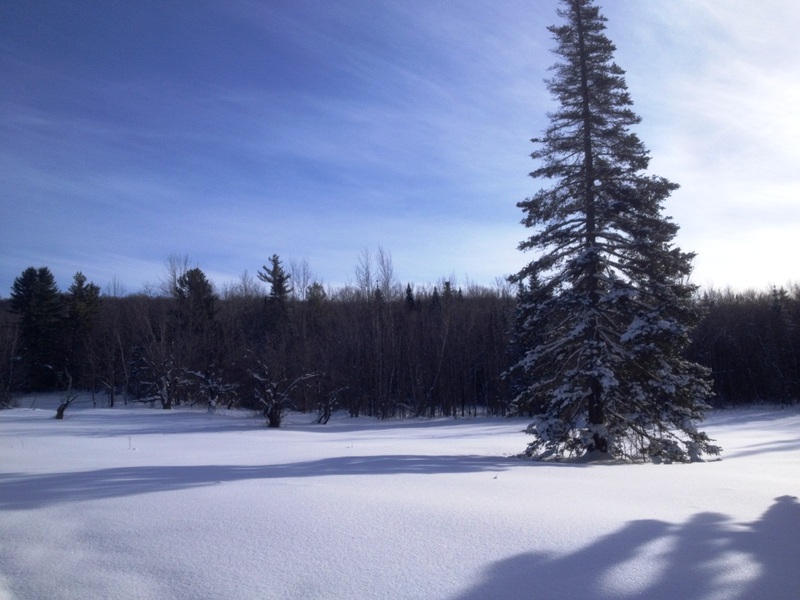 At this point, I was still a few miles from the Rikert Center, but the return was easy, following the road in the tracks of numerous previous snowmobilers, and getting onto Upper Gilmore near the Brown Gate, and following the obvious downhills back to the touring center. 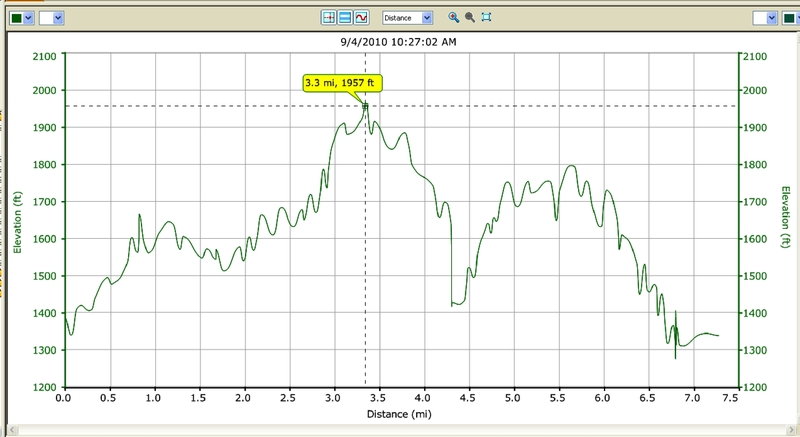 On the technical side, this ended up being a slightly more than 9 mile route, with about 700 feet of altitude difference between the low and high points. 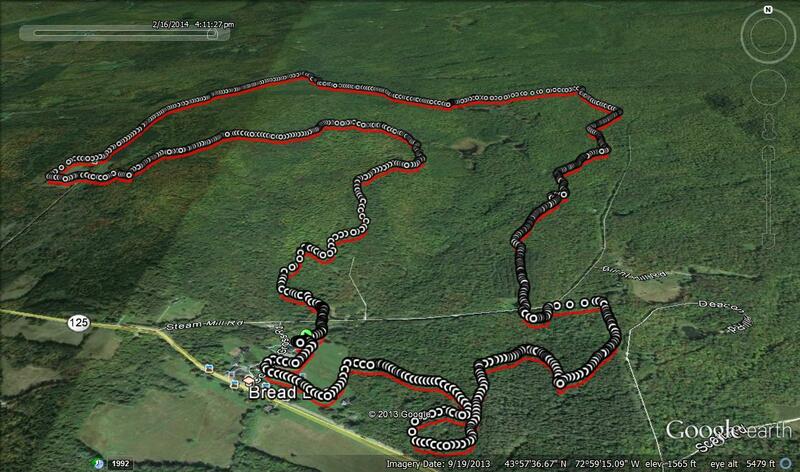 I am also looking forward to checking this out on foot this summer as well. The soul of this day however, was how invigorating it felt to just get lost in something that I really enjoyed. So, take the time to reconnect with something ( or someone I guess!) you love. 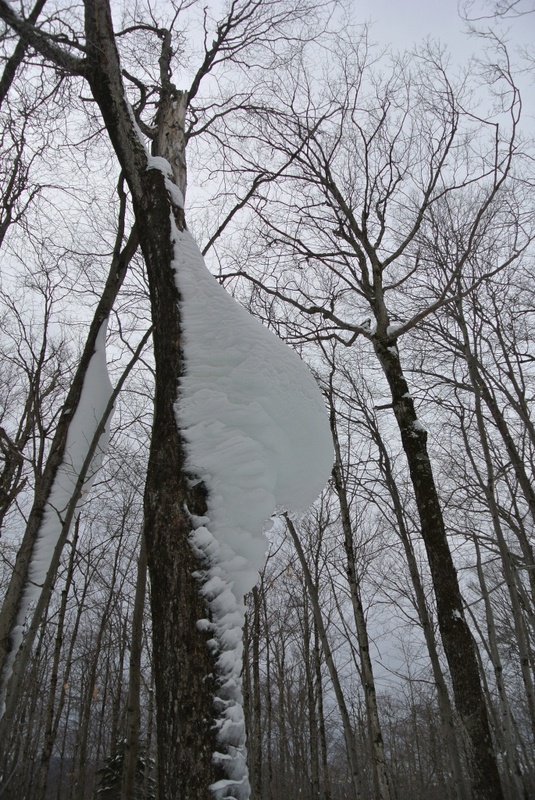 This entry was posted in Midd Blogosphere and tagged Breadloaf, catamount trail, Forest Service Road 59, Rikert, Ski Touring, Steam Mill Road on February 26, 2014 by Jeff. 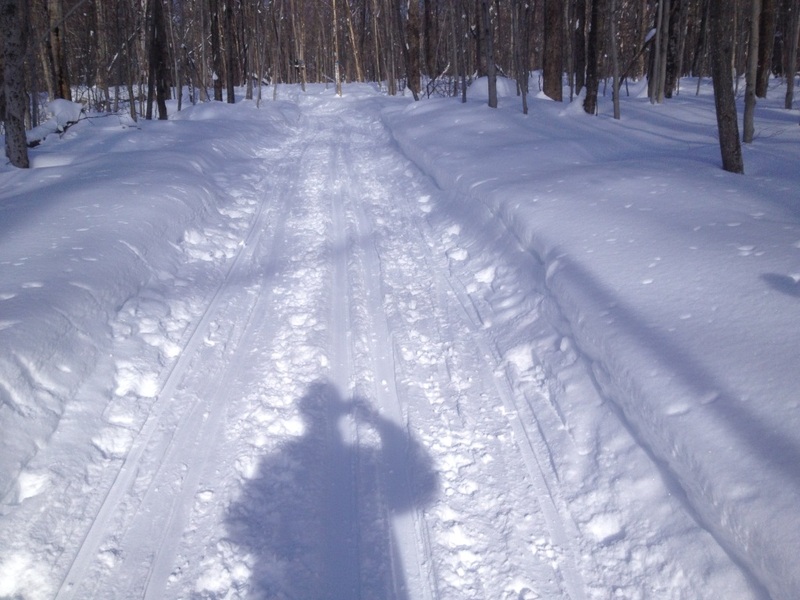 This entry was posted in Midd Blogosphere and tagged Brown Gate Trail, Forest Service Road 59, Norske Trail, Rikert, Ski Touring, Upper Gilmore trail on February 18, 2014 by Jeff. 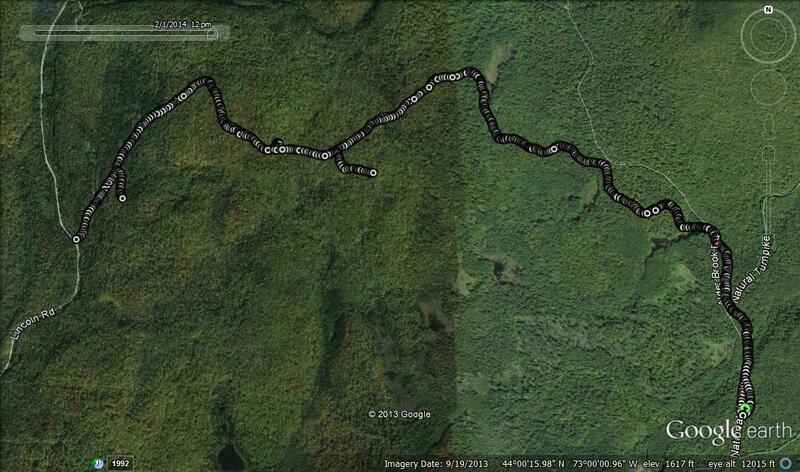 Last winter, while recovering from injuries, I snowshoed a route along a VAST trail at the higher altitudes of Ripton. 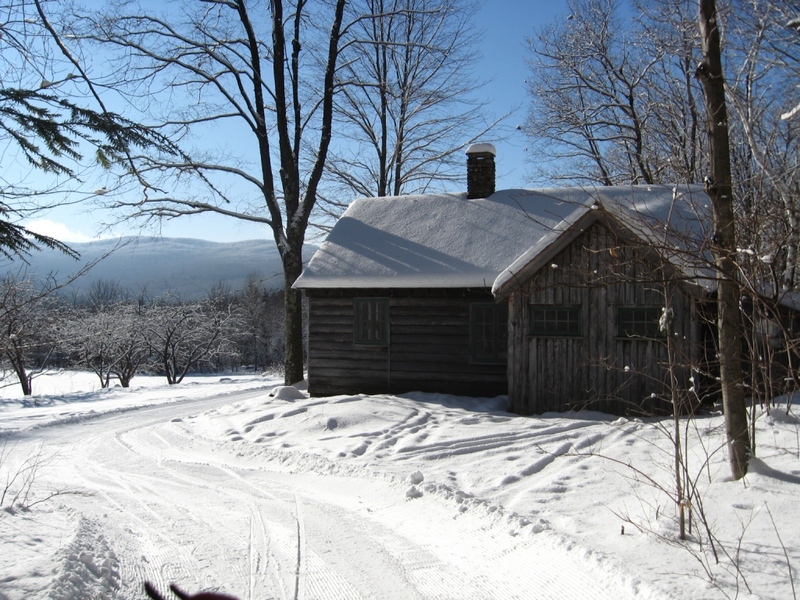 This route, which begins at the end of the plowed section of the Natural Turnpike in Ripton heads south along the snowmobile trail marked as “7A” towards Robert Frost Mountain. 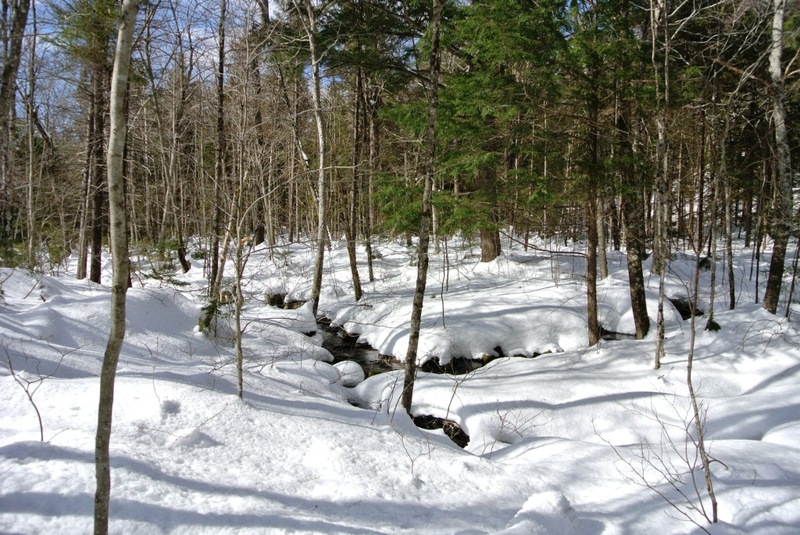 My trip along this route was limited by the slower pace of snowshoe travel, and I have been looking forward to returning to explore it a little further on ski or on foot. The limited amount of snow on the ground made a run the obvious choice for now. 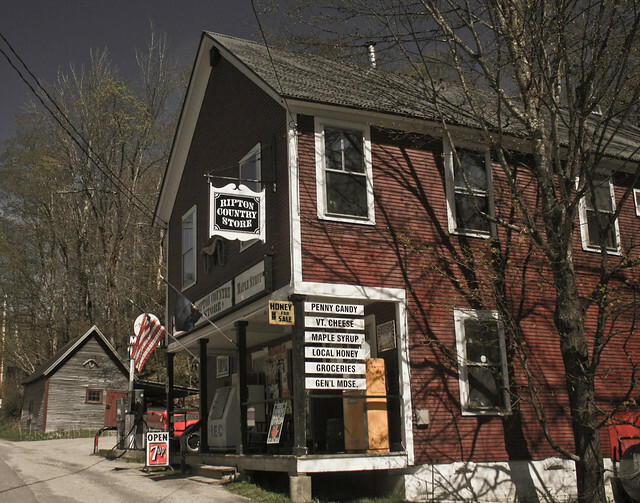 To get to the trailhead, I drove up to Ripton, then took a left turn on the road across from the Ripton Country Store. A short while later a right turn up the hill on Robins Cross Road and a left turn on the Natural Turnpike followed by a few minutes’ drive brought me to the trailhead parking lot near its confluence with FS 59. 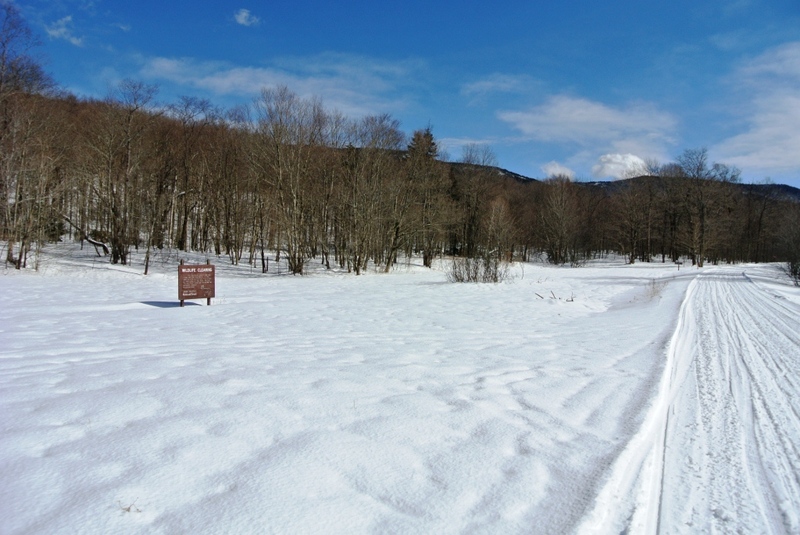 In every previous winter trip to this spot, the Natural Turnpike was blocked at this point by a forest service gate, but this year, with the meager snow, the gate beyond this point was open, and the road was freshly plowed. Setting off on the trail heading to the left (north in absolute coordinates) I could see that the snowmobilers had been faring about as well as the skiers this year, as the trail had been virtually stripped of its snow cover by previous snow travelers. 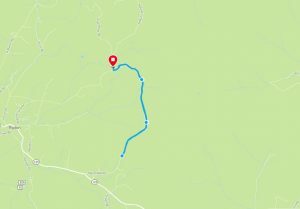 I set off, as in my previous exploration, following the marked snowmobile trail, which crisscrossed a few Forest Service Roads over the course of the first mile. 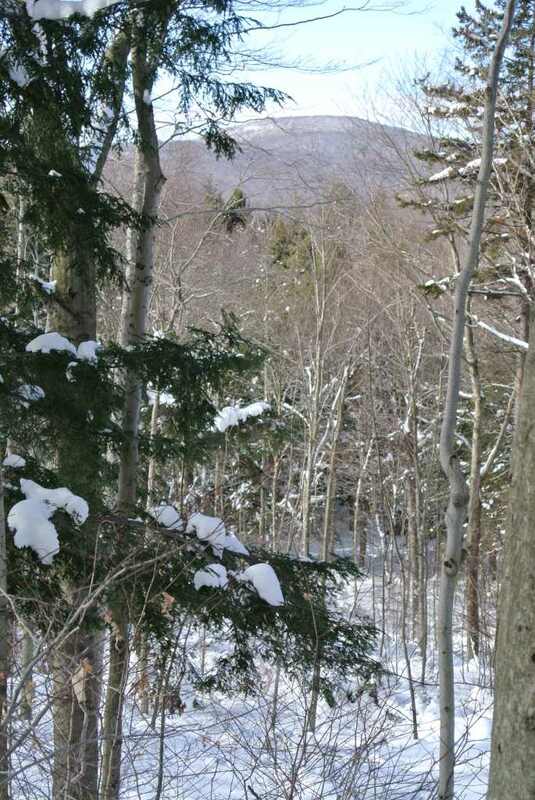 Between the thin snow cover, and my Asics Gel Arctic running shoes, equipped with short spikes making them the “studded snow tires of the running world”, I had very solid footing all the way, except for two easily traversed frozen-over waterbars. 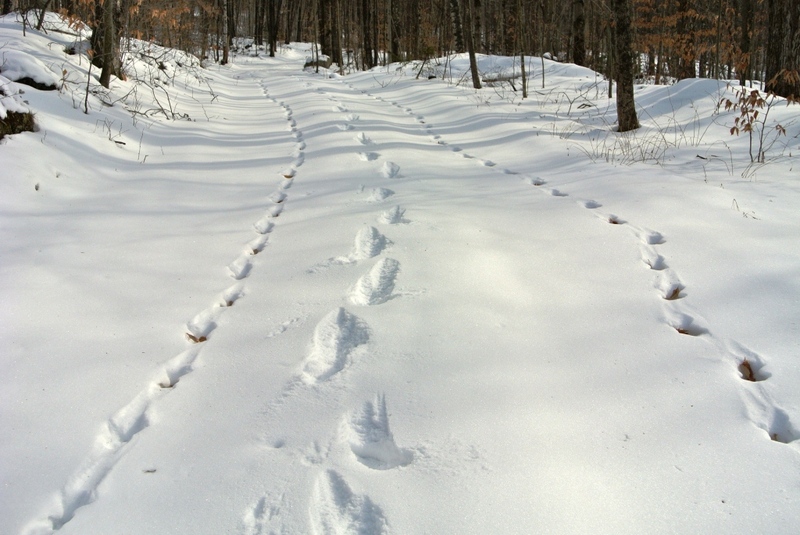 As I proceeded further into the woods, snow had covered over the most recent snowmobile tracks, and not much later, I could see where the trail had been bereft of human travelers all season, leaving the tracks of animals as the only sign of previous passage. 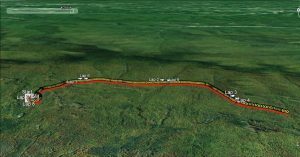 One set of tracks were particularly interesting – I could see that what at first looked like one set of old tracks, soon diverged into two sets, which looked to be about the same age. Following them, I could see that the parallel sets of tracks stayed apart, as if the two animals which set them were going about their travels as partners, perhaps even mates? They seemed too big and deep for a squirrel, and squirrels never seem to travel as if they are actually going somewhere. I am going to guess that they were foxes, although they had faded enough that I could not have made out the fine print in them, even if I were a more knowledgeable animal tracker. I like to think that these two nocturnal animals had shared a long moment in the moonlight together on the way to whatever their final destination might have been. 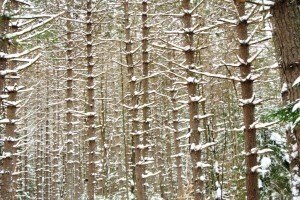 As I followed their tracks, I made sure not to step in them, leaving my record of passage between theirs. 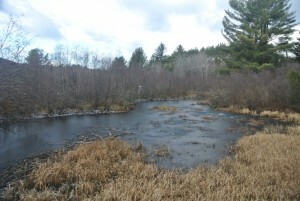 Eventually, I reached a point where the animal tracks became more complex, and their unique trail became difficult to discern from other animals who had passed through. Not long after, I came to an open meadow which had been my turnaround last winter when I passed this way. 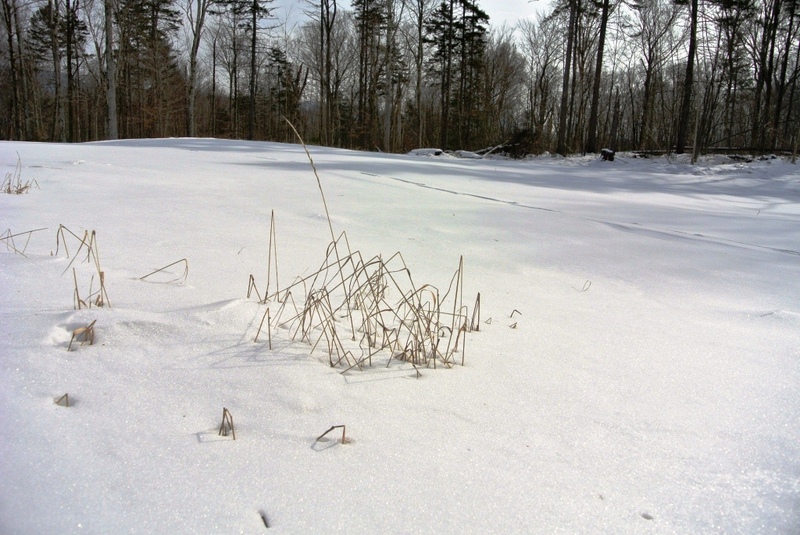 Last winter, this quiet spot had the equipment of an active logging site, but this winter, the snow surface was unblemished, except for my footprints and a few tufts of grass poking up through the snow. It looked almost like I would envision beach grass poking out of the fine white sand of the Gulf Coast, although I have never been there. 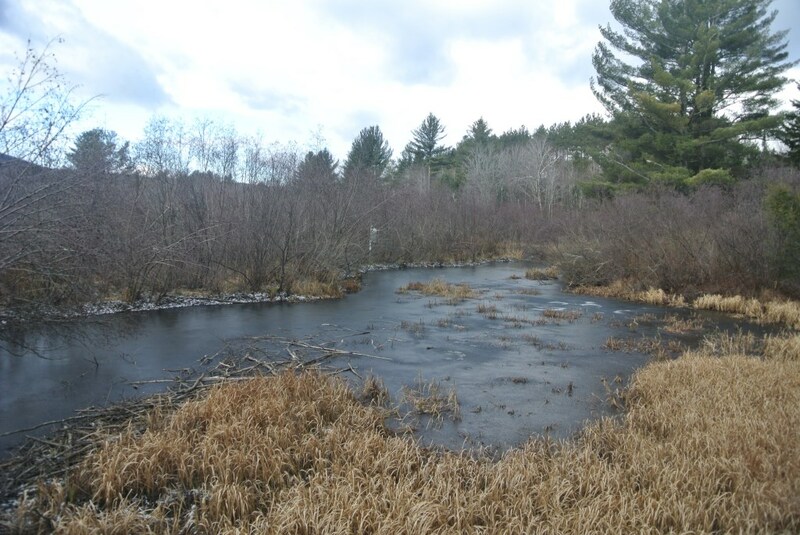 At this point, continuing on, I was into new territory, and about a mile later my trail reached the Lincoln-Ripton road, a few miles north of the Ripton School. 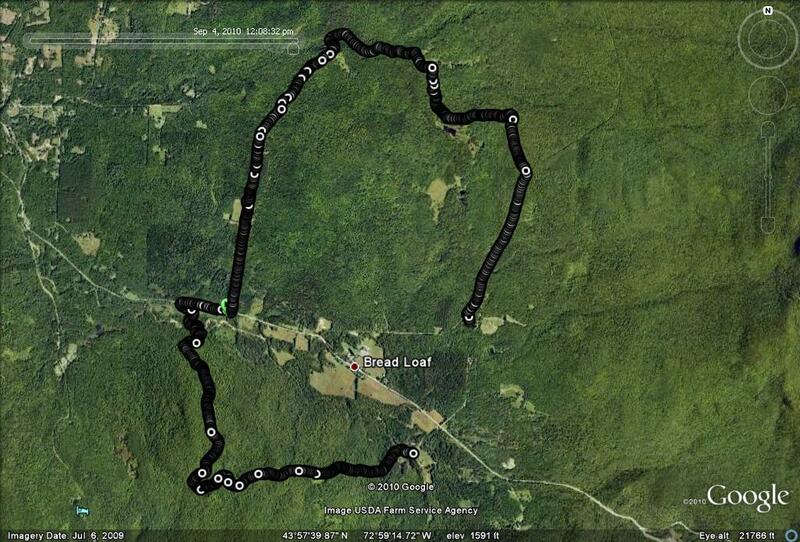 I could discern that the trail recommenced across the road, heading uphill along the eastern flanks of Robert Frost Mountain. 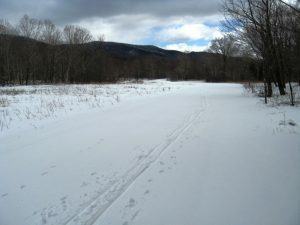 I could see that I had found another short section of trail to connect a run on my bucket list – I had heard that is was possible to connect trails from the top of Middlebury Gap, to East Middlebury by a route which included the snowmobile trail up and over Robert Frost Mountain, which I have ascended from the west. 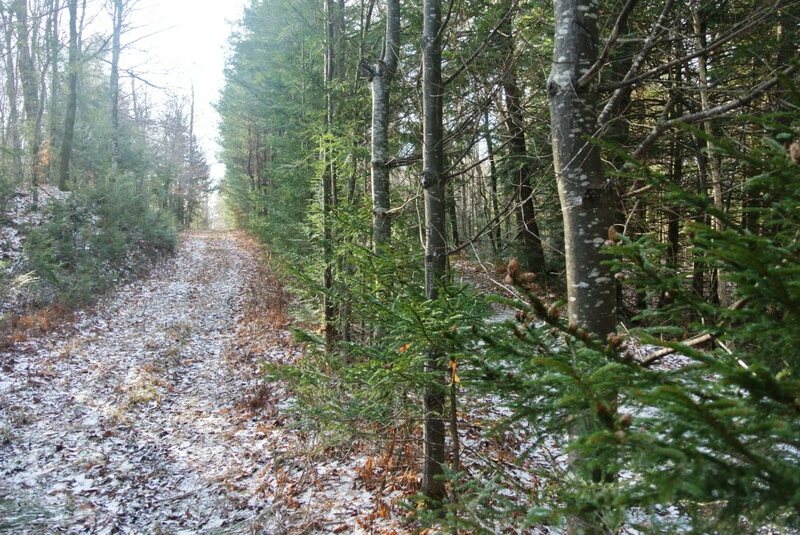 The point at which my trail (which merged with a plowed road over the last few hundred yards) met up with the Lincoln- Ripton Road, was labelled as the “Norton Farm Road”. 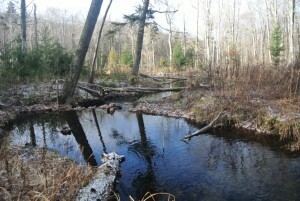 Turning to return, my attention turned two the many crossing paths and abandoned logging roads I came across. One, which looked sort of interesting, and was labeled as “Rd 235A”. This one ended in about a hundred yards at a small clearing, so returning to the main snowmobile trail, I checked out another side trail about a mile further along. 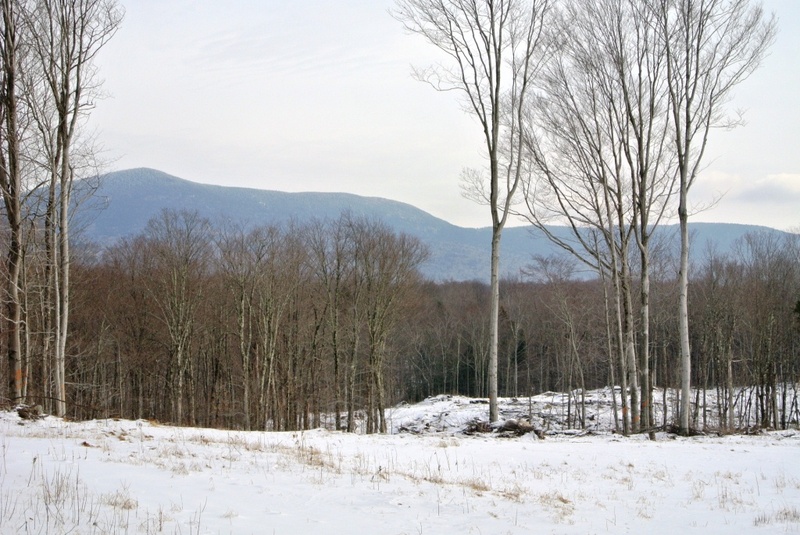 This right turn led to a huge clear cut in about a quarter mile, with outstanding views of Worth Mountain, and the rest of the nearby ridge of the Green Mts. 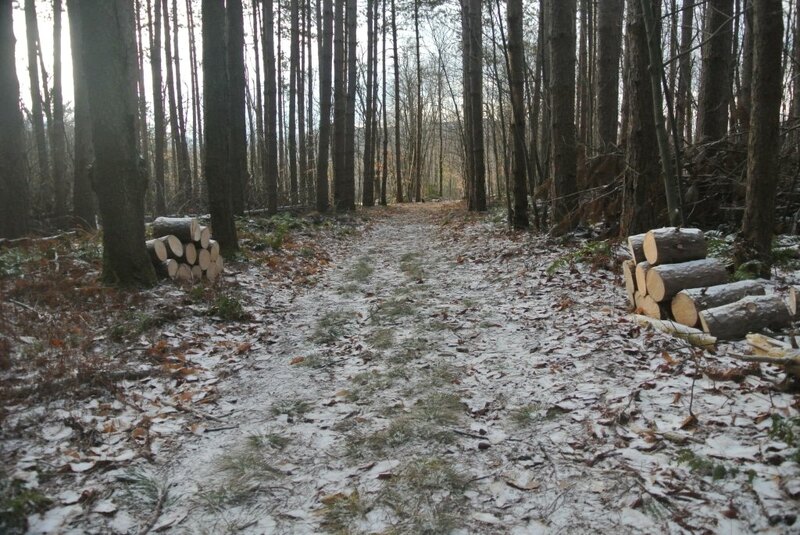 I found it curious that a small stand of mature hardwoods had been left behind by the timber cutters, but they added to the beauty of the views. Closing in on my parked car, I could hear that I was getting closer and closer to a “sportsman” who was blasting away at something with what sounded like a semiautomatic weapon. While I never actually saw this person, I felt like shouting something along the lines of “Is there ANYTHING left of that squirrel?”. Reaching my car, my GPS indicated that I had traveled 7 miles on this run, and had dropped about 500 vertical feet on the way out, and gained it on my return. 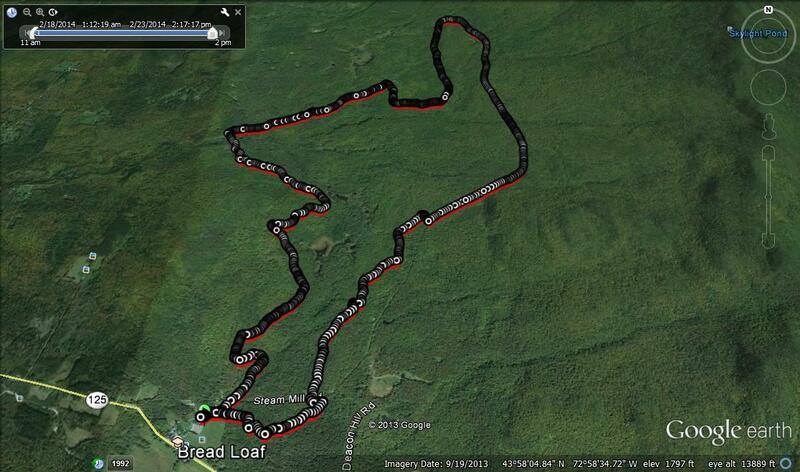 This entry was posted in Midd Blogosphere and tagged Forest Service Road 59, Hill Climb, Robert Frost Mountain, Running, VAST on February 1, 2014 by Jeff.